Michael was born in 1945 in Yorkshire and was raised in Burgess Hill in Sussex where he has lived ever since. He joined Ditchling Press in 1963 as a management trainee working with PA Management Consultants on the implementation of an incentive scheme and for the next three years with slide rule and stop watch in hand spent many a daunting day measuring and studying work patterns on the shop floor. In 1977 having reached Board level within the company, he decided to go it alone and started his own business in Hove that eventually grew into Walden Communications Group with businesses in London as well as on the south coast. In 1991 having decided to centre business activities in London only, Michael became involved in City life by becoming a member of Tower Ward Club and eventually becoming Master in 2000-2001. 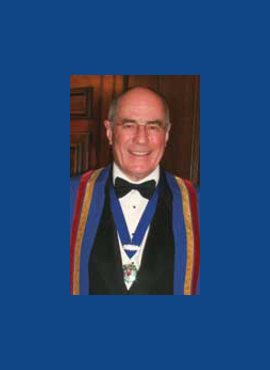 He is also a Past Master of the Worshipful Company of Bowyers. In 1996 while in conversation with the Clerk at the time, John Norman, Michael was introduced to the Worshipful Company of World Traders. 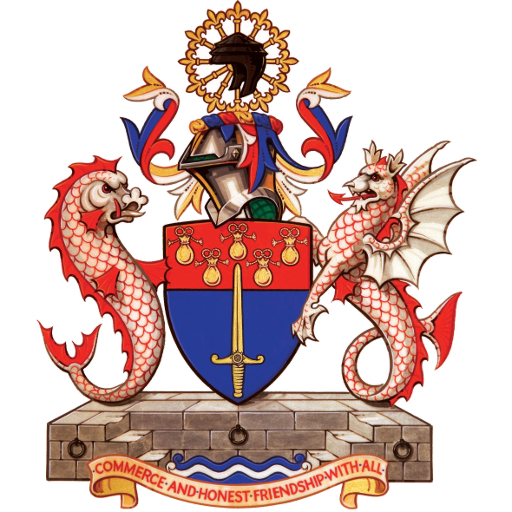 In the City he is also a Liveryman of the Worshipful Company of Stationers and Newspapermakers and a member of the City Livery Club and also Bishopsgate Ward Club. He is also a member of the Army and Navy Club (RAG) as a non military member reflecting a keen interest in the history of both World Wars and family connections and involvement in those times. He has a wide range of interests in the sporting world, including swimming, athletics and cycle racing. A keen sailor, he enjoys offshore yacht racing and competing in events such as the Fastnet Race. He also enjoys golf, cricket and rugby. Michael married Carol Cameron in 1966 and they have two children, Emma, born 1972, who after graduating from UCL joined NYK Shipping in the City and Andrew, born 1975 who is currently Art Director of Wallpaper* magazine the international arts magazine published by IPC. The family was recently enlarged by the arrival of a grand daughter, Ella, born to Emma and her husband Ivan in February. Carol retired from banking in 2005 and is currently a director of the local Age Concern.